This is a quick guide about the city, in the case you are looking for Malaga guide books or maps you should check our top readings, we have made a list of the top 10 most useful guides about Malaga available online for the tourists. The Paseo del Parque is a large avenue that runs between the port and the old quarter of the city, with its sides lined with gardens it provides ample shade from the heat of the day under its many palm trees. It is popular with locals for sitting in the afternoon and watching the world go by whilst breathing in the perfume of the jasmine which arches over some of the paths around the gardens. Behind the Paseo del Parque lies Malaga's famous Cathedral, La Manquita - which means "the little one-armed lady". Its styles incorporate Renaissance, Baroque and neoclassical because of the length of time it took to build. The Cathedral has only one tower, building was halted on the second tower due to lack of money. Inside there are fine carvings of saints in the choir's area, a gothic altar and a statue of the Virgin Mary,which was presented to the city by Ferdinand and Isabella (the King and Queen) after the city was recaptured from the Moors. 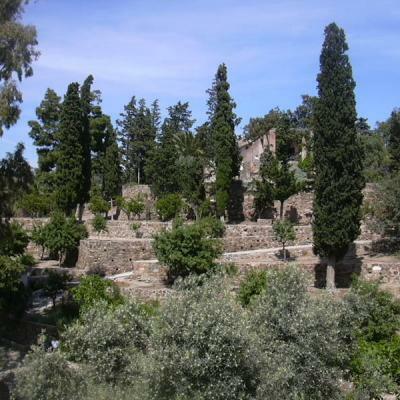 Some five minutes walk from the Cathedral is Alcazaba, a 15th-century Moorish fort. The fort rambles across a hill which used to form part of the shore line, before the land that now forms the port was recaptured from the sea. Next to the fort is a 1st Century Roman theatre which is currently under restoration, the job being made all the more difficult because much of the theatre's masonry was used by the Moors in the construction of Alcazaba. The name comes from the Moorish Jebel meaning "hill" and Faro meaning "lighthouse." Gibralfaro crowns the top of the hill that overlooks the city. The road that leads to the top is long and winding, if you feel like walking it will certainly help keep you fit, otherwise there are buses that run from the town centre or you can take one of Malaga's abundance of taxis. 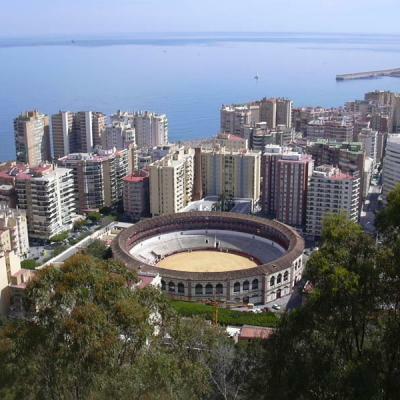 Once at the summit you will have a superb vista of the City including the bullring (Malagueta), the Port and the beaches surrounding the city. The Moorish castle at the summit is more impressive than the rambling Alcazaba and in better condition. The gardens at the top are a perfect place to sit and take in the fantastic panoramic views. Malaga is very proud of its famous artist and the airport is named after him. He actually only spent the first 14 years of his life in the city before his family moved to Barcelona. The city has built a downtown museum dedicated to Picasso, where many of the artist's works were donated by his daughter-in-law. The house where he lived during his years in Malaga is also a popular tourist attraction, now a museum and headquarters of the Picasso Foundation. 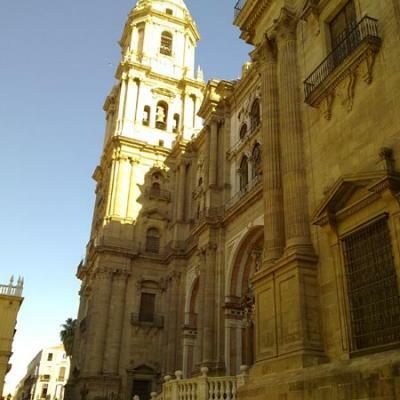 It is situated facing Plaza de la Merced, a relaxing place to go and have an afternoon coffee before going to the nearby Cervantes Theatre or Cathedral. 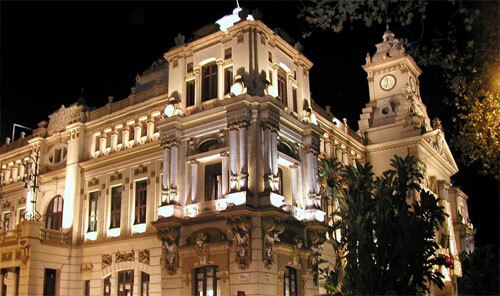 Here you can find a Malaga photo album with some of the most relevant touristic places in Malaga. Malaga offers visitors a multitude of venues, each with its own feel. Whether watching a flamenco show while sampling local wines, or dancing the music scene's latest hits away in a nightclub, you'll always be accompanied by the atmosphere and charm that characterize the people of Malaga. The tourist information office in Malaga operates on the Spanish schedule, which means they're closed from 14:00 - 16:30. There are maps on information boards around the city which indicate the main streets. There are also pocket maps available at the tourist information office.